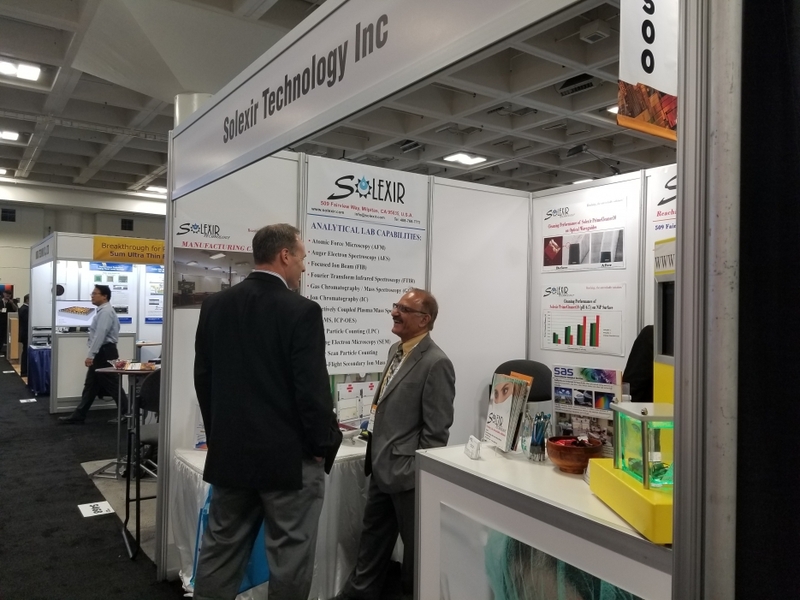 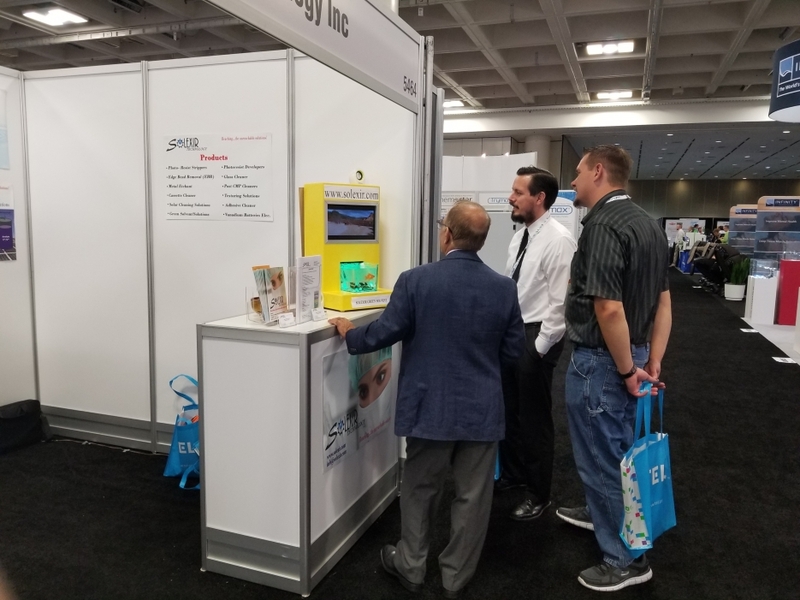 Semicon West 2018 from July 10 through 12 provided yet another opportunity for Solexir to successfully present its chemical products and services. 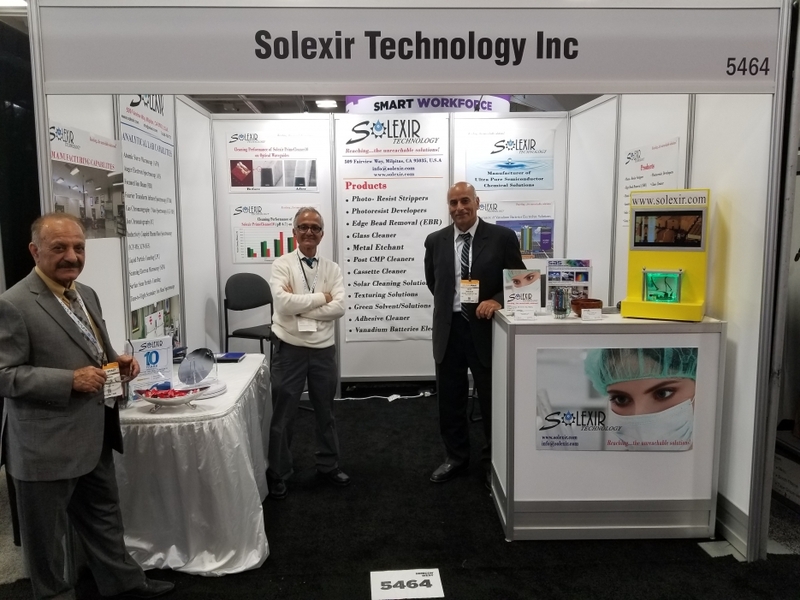 From our green solution “Solexir HFE40F” (for which we allowed a gold fish to swim in a tank filled with HFE40F while presenting an action movie off of a board also inserted in the same tank! 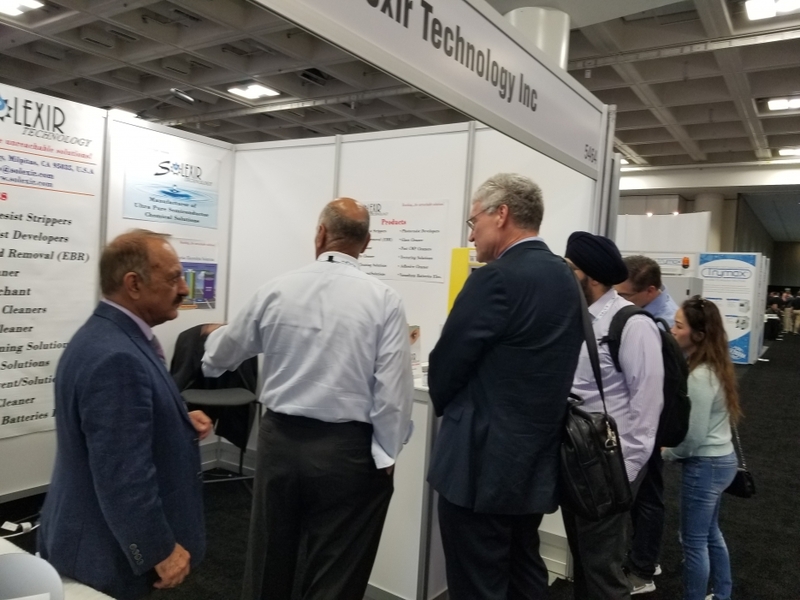 ), to all our other ultra pure products used across a broad spectrum of semiconductor industries all received raving reviews and excitements from our booth visitors. 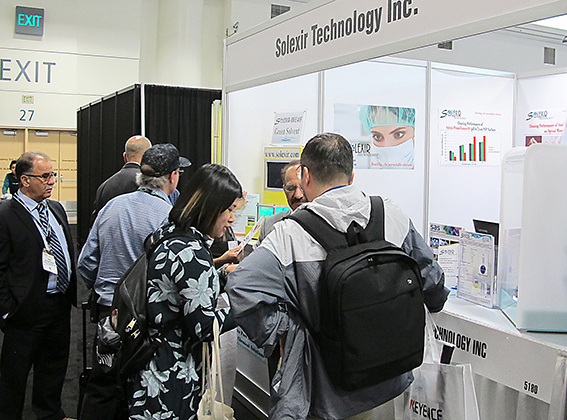 These chemicals have consistently demonstrated their capabilities and versatility for our customers and are truly unique in their features, performance and price. 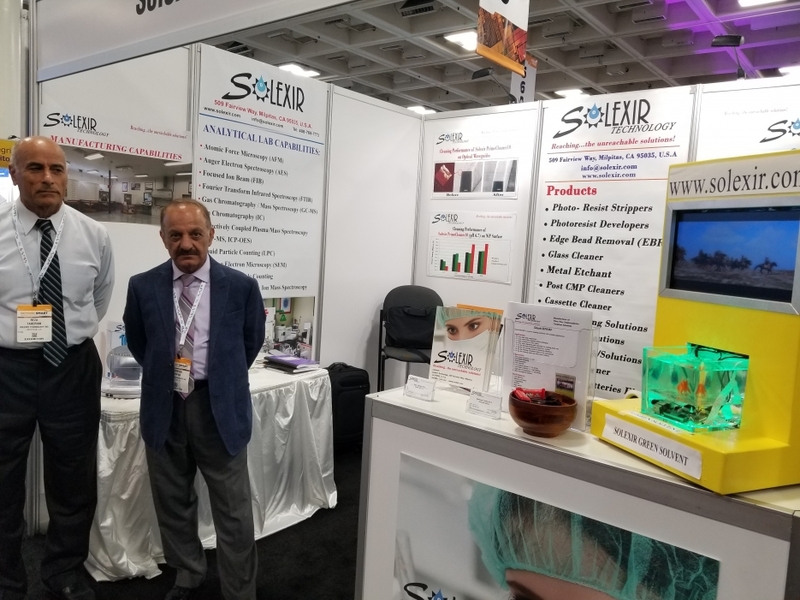 What is also more impressive is that, aside from of all these chemical products, we also offer our state of the art analytical laboratory as yet another excellent service to our customers! 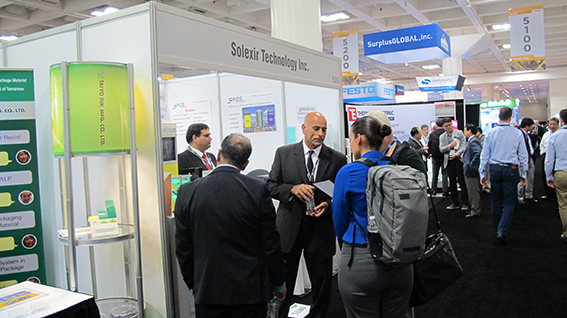 Solexir attended Semicon West 2017 from July 11 through 13. 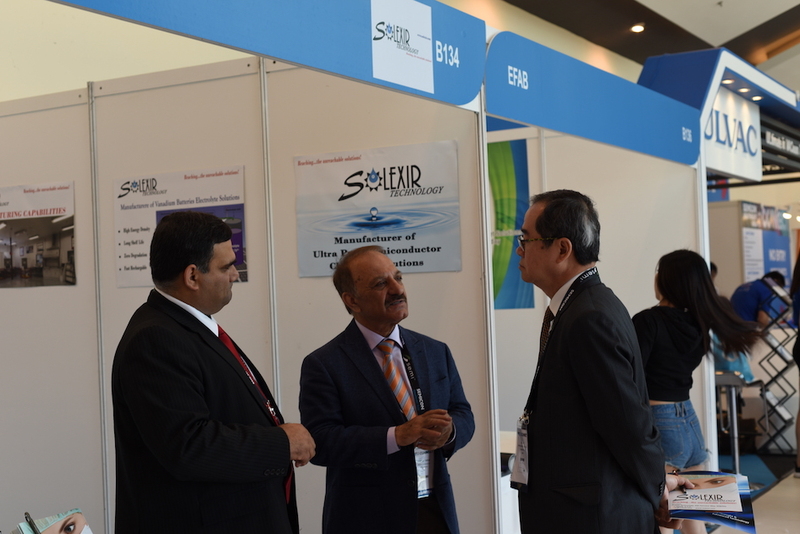 The reception and attention that we received from attending guests was extremely positive and successful. 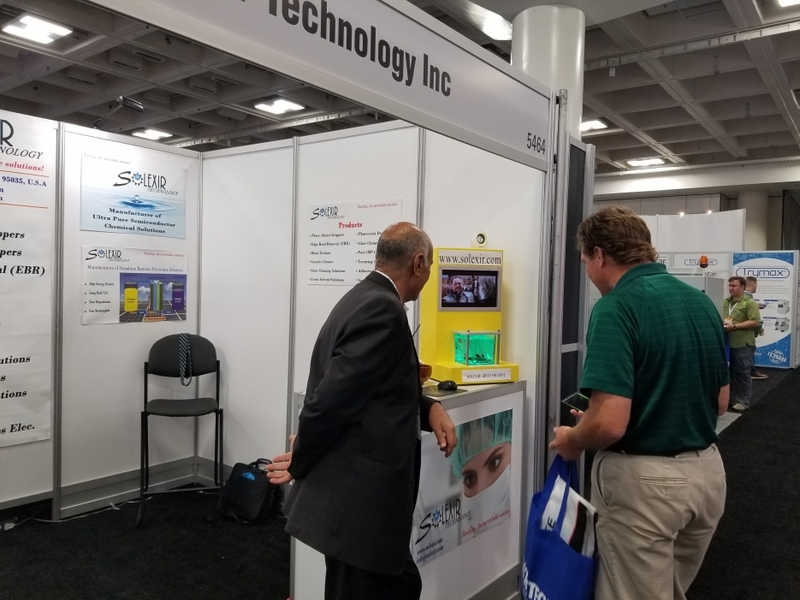 Thanks for visiting us and thank you for considering our technology and our products! 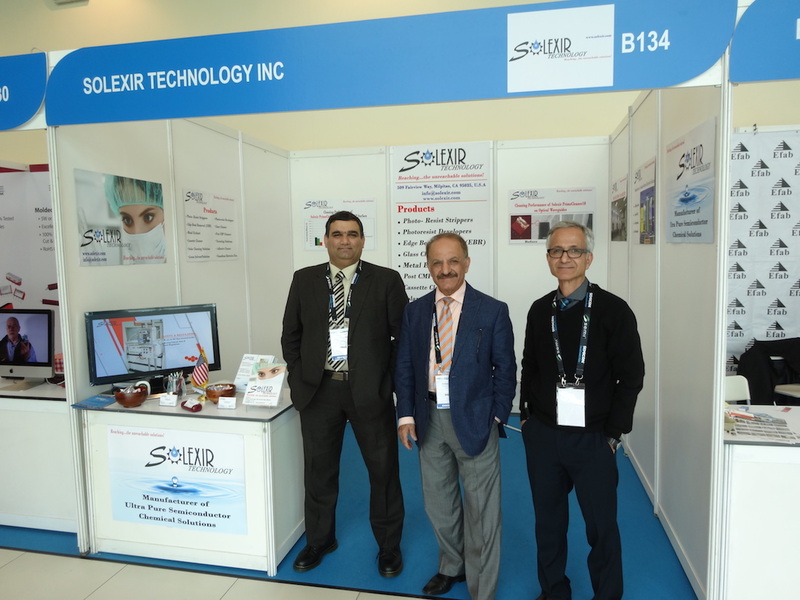 This was a great opportunity for our scientists at Solexir to demonstrate and to explain our established products as well as introducing new products to our visitors. 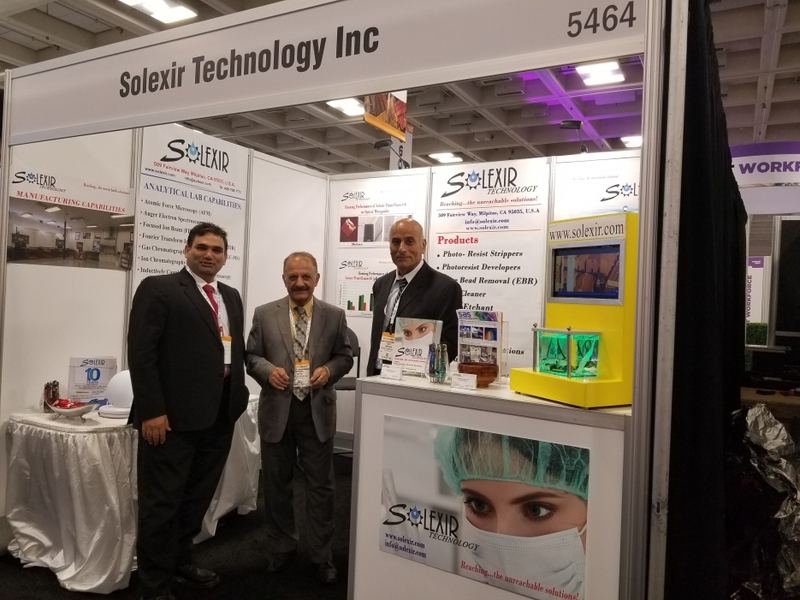 A special interest was raised by our green solution “Solexir HFE40F” where we demonstrated live how safe it is by allowing gold fish to swim in it while simultaneously inserting a PC board in the solution which played couple of action movies!! 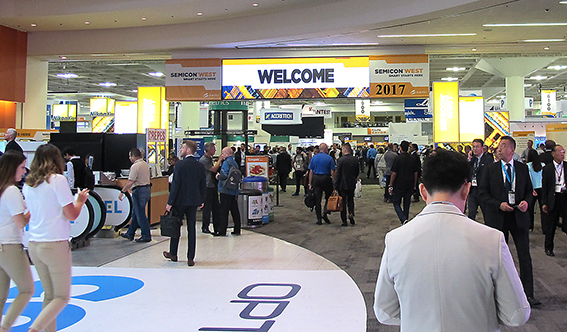 We will be attending Semicon West 2018 which happens from Tuesday, July 10, 2018 through Thursday, July 12, 2018. 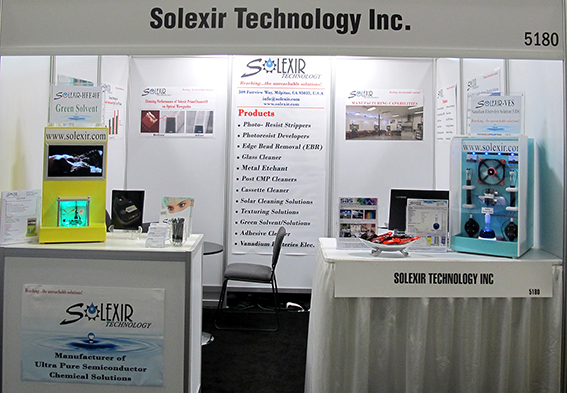 We hope to see you there again (Booth location# 5464). 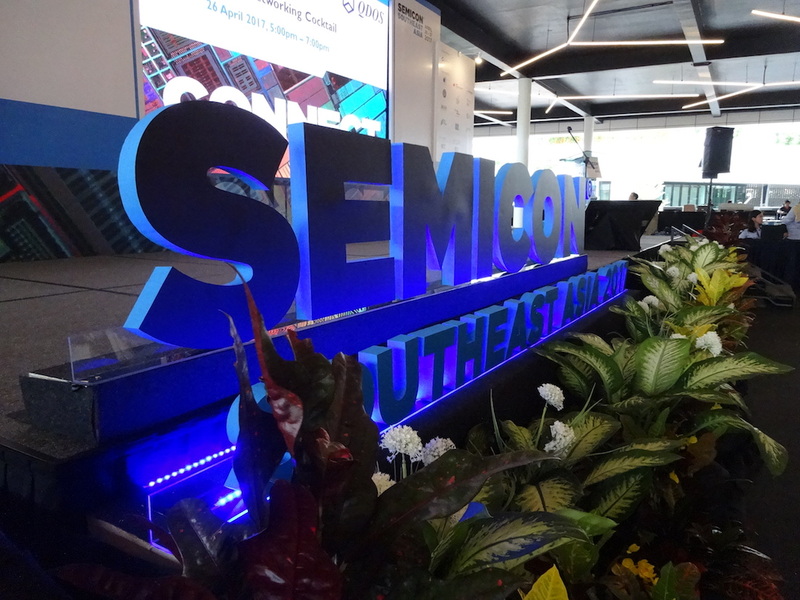 Solexir attended “Semicon Southeast Asia” on April 25 through 27 of 2017 in Penang Malaysia, and we had a fantastic exposure. 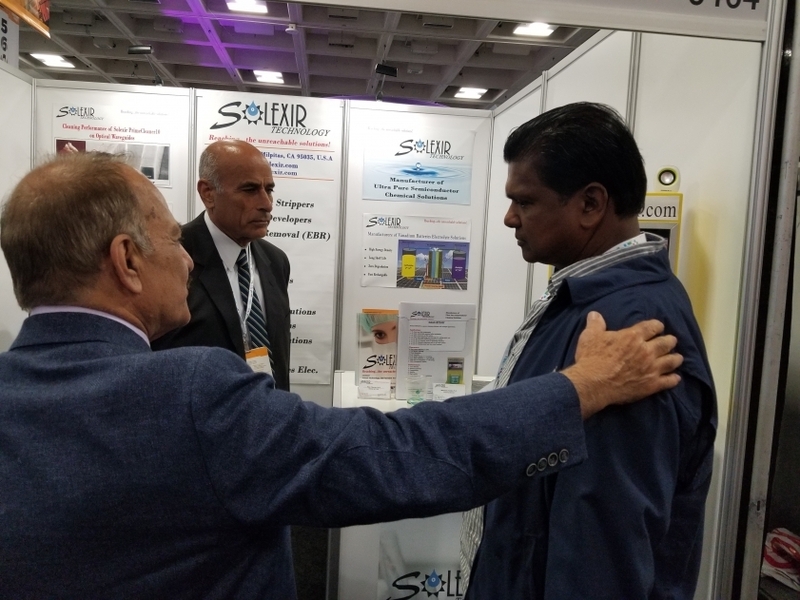 Our booth attracted lots customers who were either curious about our line of products or were looking for a particular chemical solution which could address their specific needs. 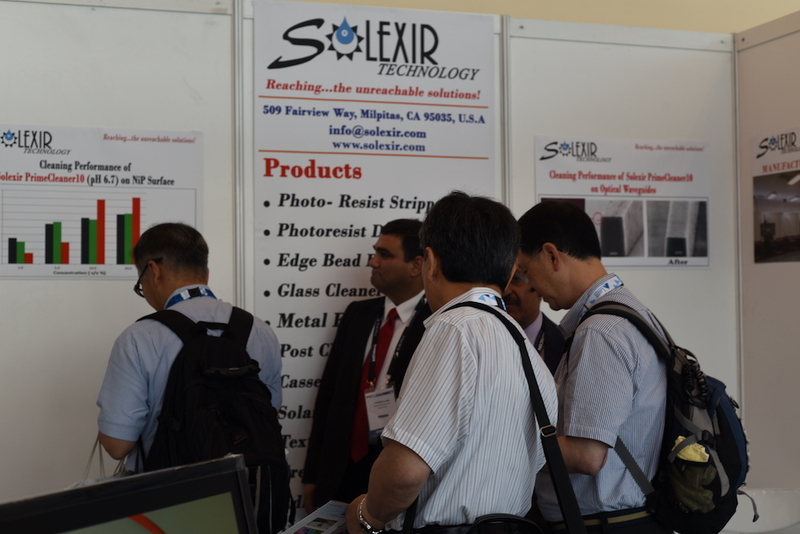 Our staff at the Expo were available to answer all technical issues raised by these visitors to our booth. 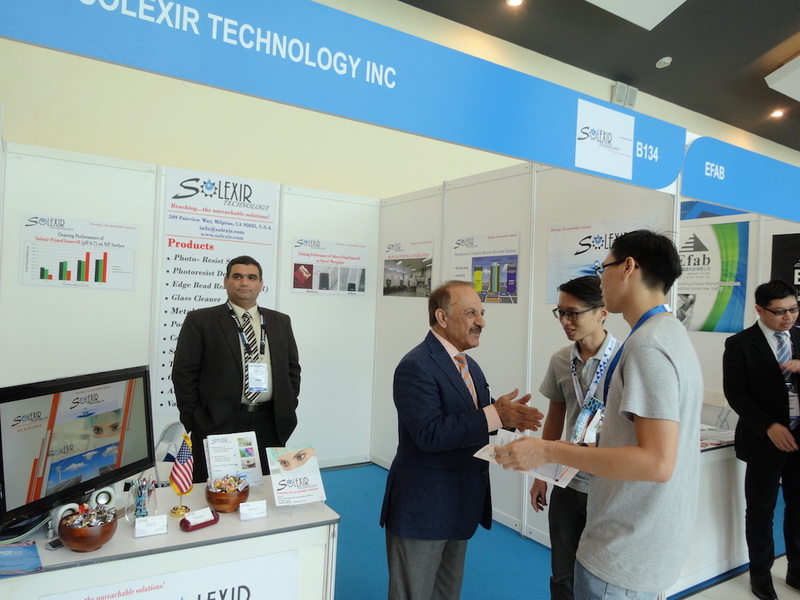 Once again, we proved that our motto of “Reaching…the unreachable solutions!” mattered a lot to these visitors: The quality, performance, and price point of Solexir products allows most of these visitors to achieve what seemed to be impossible for them before their introduction to Solexir!